Trecina Atkins was born on the 1st May 1974, in Inglewood, California USA. She is a singer, songwriter and actress widely known under the name of Tina Campbell. She rose to prominence singing gospel music alongside her twin sister named Erica in the duo Mary Mary. Tina Campbell has been accumulating her net worth being active in show business since 1998. How rich is the gospel music singer? It has been reported that the overall size of Tina Campbell’s net worth is as much as $10 million. Among their other earnings, the sisters have earned $1 million from the album “Thankful” (2000) alone, which was certified platinum in the USA. To begin with, Tina was raised in Inglewood with her seven siblings. However, the strongest bond she felt was to her twin sister Erica. The twins have loved music and have sung a lot since their early childhood, including in the church choir. The sisters were educated at El Camino College in which they majored in singing. Later, they sang as backing vocalists for various artists and bands. Once, when they were performing with Brandy, the producer Warryn Campbell saw them and later offered them a contract with the record label EMI. In 1998, they officially signed their contract and became the contemporary gospel duo Mary Mary. The band entered the entertainment industry introducing elements of jazz, funk, hip hop and soul music to their gospel music. Because of that, they are often compared with a legendary singer Kirk Franklin. Up to date the sisters have released 19 singles, five studio albums and 10 music videos. The most successful studio album was the debut one entitled “Thankful” (2000) which received platinum certification. The following two albums “Incredible” (2002) and “Mary Mary” (2006) were certified gold. It should be noted that all the albums topped the Billboard Top Gospel chart, but the last one entitled “Something Big” (2011) managed to peak only in second position of the above mentioned chart. These successes added considerbly to Tina’s net worth, and her sister’s too of course. It is important to mention that the sisters have also recorded solo albums. 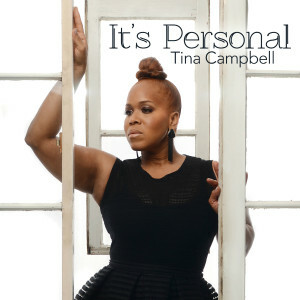 Tina Campbell is known to have released one studio album entitled “It’s Personal” (2015). Music is the most important source of Tina Campbell and her sister’s net worth as well as popularity. The Mary Mary duo has received 92 nominations, 78 of which they won. The most prestigious awards received by the sisters were ASCAP, three BET, four Grammy, two Image Awards, two NAACP and others. In 2003, the Campbells released their autobiography book “Transparent” (2003). In 2015, Tina released her own book “I Need A Day to Pray” (2015). Due to the high popularity of the duo, the reality television series under the same name “Mary Mary” (2012–present) is continuing on WE television. All the previously mentioned and other engagements have also added sums to Tina and Erica Campbell’s net worth. Finally, in the personal life of the singer, Tina married the drummer Teddy Campbell; they are the parents of six children, although apparently all is not well with the relationship. An interesting fact, her sister married another Campbell, the record producer Warryn Campbell. 1 Daughter Meela Jane, born 11 June 2007. 2 Daughter Laiah Simone Campbell was born 16 days early on Tuesday 9 September 2003. She was 5lbs 4 oz. 3 Is an Inglewood, California native. 5 Sister of Erica Atkins. The Fighting Temptations 2003 "Won't Ever Change"
2016 Image Award Image Awards Outstanding Gospel Album (Traditional or Contemporary) Album: "It's Personal"